Can different battery types be mixed in a single device? No. Never mix battery types—such as include alkaline, heavy duty, and rechargeable—in a single device. Battery leakage may occur. Can old and new batteries be mixed in a single device? No. Never mix old and new batteries in a single device—battery leakage may occur. Replace all batteries in a device at the same time. Where should batteries be stored? Do NOT put loose batteries in your pocket. Batteries should be stored in a cool, dry location. Avoid temperature extremes. Keep batteries in original package until you are ready to use them. How does the cold affect batteries? Batteries can't deliver much power when they are cold. You may find that the flashlight kept in your car in the middle of winter casts a faint beam. Let the batteries warm up to normal temperature, and try them again before you decide to replace the batteries. Can batteries be stored in devices for long periods of time? No. Batteries should be removed from any device that will be stored for long periods of time. How should I dispose of my alkaline batteries? Alkaline batteries can be safely disposed of with normal household waste, since the Mercury-Containing and Rechargeable Battery Management Act passed in 1996 that phased out the use of mercury in alkaline batteries. That means they aren't nearly so toxic when disposed in landfills. Never dispose of batteries in fire, as this could cause an explosion. No. Household batteries (RAYOVAC® FUSION™, HIGH ENERGY™, Zinc Carbon batteries and rechargeable batteries such as RAYOVAC®'s Recharge and Recharge Plus (NiMH), and fully drained lithium primary batteries) are not hazardous waste. They are qualified as non-hazardous after having undergone government required testing. Certain others, such as lead acid rechargeables and Nickel-Cadmium (NiCd) batteries, are required by regulation to be recycled. If you throw them away then they are a hazardous waste. Recycling logos on these products contain the information you need for finding your recycling outlets. For specific chemical and technical information check out our Safety Data Sheets. All Alkaline, Rechargeable Alkaline, Rechargeable Nickel Metal Hydride (NiMH), Zinc Carbon, and drained lithium primary batteries made by RAYOVAC® are not a USEPA hazardous waste. Zinc Air and Silver Oxide in typical consumer quantities are not USEPA hazardous waste (see below for information pertaining to industrial large quantity generators). Our Material Safety Data Sheets note that non-hazardous wastes are suitable for ordinary disposal methods, providing that there is not some other applicable state or local regulation which directs otherwise. Please view the MSDS pertaining to your particular battery type to find proper disposal methods - Safety Data Sheets. From time to time some states, counties, or local governments enact regulations naming a specific compound or element hazardous. In effect, this makes many of the consumer products that contain that material potentially covered by the rules. In other cases, "batteries" is used generically when the rule is targeted toward automotive lead acid batteries. In these cases, it takes time to correct the regulatory language. In other cases, the household batteries we produce may be undesirable for the type of waste management chosen by a city or municipality such as when composting or waste-to-energy incineration is used. Those rules do not make the household battery waste hazardous; they just require different management, often making that management more difficult or costly. There are some batteries, such as Nickel-Cadmium (NiCd), which are Universal Waste (the term "universal waste" is potentially applicable to waste batteries only if they are considered "hazardous"). Collection of Nickel-Cadmium batteries is required by law. They are not classified as EPA hazardous waste as long as their destination is recycling. For specific information about environmental legislation relating to batteries, please visit NEMA's web site, the EPA, search the US Code of Federal Regulations, in Europe search EUR-LEX, or contact an appropriate government agency. Other types of commonly used batteries, such as silver oxide batteries, are not regulated for the general consumer but may be regulated for the industrial user. Industrial users who may generate over 100 Kilograms per month of certain regulated hazardous wastes or over 1000 kilograms of any type of hazardous waste may need to treat their waste silver oxide batteries as hazardous waste. Silver oxide batteries contain precious metals that may be recycled. For a list of potential recyclers go to www.nema.org. Many retailers who replace watch batteries as a customer service will also take small quantities of silver oxide batteries from the consumer for recycling. Do Rayovac batteries contain mercury? Rayovac alkaline batteries use a Mercury Free Formula. Can large volumes of batteries be recycled? You can find a list of recycling firms that may be able to process waste batteries at the National Electrical Manufacturers Association web site, www.nema.org.. These firms generally charge fees and may require pre-sorting of various batteries. Mixtures of waste batteries will require special packaging and transportation. For details contact the recycling firm of your choice. Neither NEMA or RAYOVAC® guarantee the list includes all potential recycling firms. The list does not constitute a recommendation regarding listed firms. How and where can I recycle my batteries? No general household battery recycling system exists in the USA. Because Lead Acid and Nickel Cadmium (NiCd) batteries are required to be recycled to keep them from hazardous waste consideration, special systems have been set up to promote their collection. Both of these products have recycling logos affixed to the battery and a telephone number or address identified on the label to assist you. Other battery types, while not requiring recycling, can also be recycled. These include Rechargeable Nickel Metal Hydride (NiMH) batteries and Lithium Ion batteries. For your convenience, RAYOVAC® has been a proud supporter of the Rechargeable Battery Recycling Corporation (RBRC). The RBRC runs a free recycling program for consumers, allowing you to return your used rechargeable batteries at retail locations across the country. For specific information, please visit the RBRC website. Also note that Silver Oxide batteries, most often used as watch batteries, can usually be returned at the retail location it was purchased from. Zinc Air batteries, used in hearing aids, cannot be easily recycled and are considered general household trash when they are drained. Please throw these out in the trash, collecting or saving them can present a choking hazard to children. In case of accidental swallowing or insertion, call the National Capital Poison Center Hotline 1-800-222-1222 or 202-625-3333 (collect) IMMEDIATELY (TTY 800-222-1222). Does RAYOVAC® take used batteries back? We do not take them back. 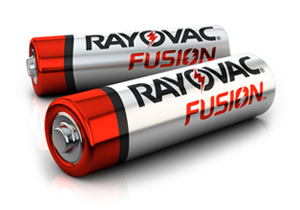 However, RAYOVAC® does fund the RBRC, a take back program for rechargeable batteries. There is no systematic collection scheme nation-wide handling all batteries, and no method for sorting when collections have occurred. Collection and transportation back to RAYOVAC® facilities would result in a net negative effect on the environment, (fuel use, recoverable material, and safety concerns). Alkaline, Zinc Chloride (Heavy Duty & General Purpose), Rechargeable Alkaline, Rechargeable Nickel Metal Hydride (NiMH), Zinc Air, Silver Oxide, and drained lithium primary batteries are clearly not a hazardous waste as confirmed by EPA methods of testing. Current recycling efforts rely on the customer to sort, ship, and in some cases (such as large volume generators such as RAYOVAC®) pay the cost of recycling. The Rechargeable Battery Recycling Company (RBRC), funded in part by RAYOVAC®, offers free recycling of some battery types, visit them at www.call2recycle.org for more information. However; for other battery types current sorting and recovery technology makes it unfeasible for potential recyclers to set up a process due to cost, limited usefulness of recovered materials, and small volumes. Independent studies have shown that there is a net negative environmental effect of recycling due to collection, transportation, sorting and handling these products. For more information on battery waste issues, please visit NEMA's website. Where can I go to get additional information about household batteries? You may also contact RAYOVAC® Consumer Services for more information. What type of battery should I be using in my hearing aid? There are four different battery sizes: 10, 13, 312, and 675. Manufacturers use an industry-standard color code to identify the battery size. Different battery sizes are used to power different types of devices. You can find which type of battery your device requires by referring to your hearing device's manufacturer's manual. Why is there a tab on my battery? Zinc air batteries use air as an active ingredient in fueling the battery. The tab provides a seal that ensures freshness until the time of use. Once you un-tab the battery, the air from outside of the battery begins to react with the zinc inside of the battery, this reaction is what powers the battery. To properly activate the battery, remove the tab and wait one minute to allow air to fill the battery, then, insert the battery into your hearing aid. Note: replacing the tab when the battery is not in use will not extend the battery life. When tab is removed and the battery has been aired up properly, make sure that you are not forcing the battery door closed. Check that the battery is inserted correctly before closing the door. What are the different hearing aid battery sizes? The most commonly used hearing aid battery sizes are 10, 13, 312, and 675. Most manufacturers use an industry-standard color code to identify the battery size. Different battery sizes are used to power different types of devices. In general, the larger the battery the greater the power. You can find which type of battery your device requires by referring to your hearing device’s manufacturer’s manual. Battery life is determined by the type and amplification of your hearing aid, as well as the hours you wear it. Because this varies from person to person, we suggest you consult your hearing professional so they can properly diagnose the expected battery duration in accordance with your specific lifestyle. For more information on batteries specific to your hearing aid, reference the hearing device manufacturer’s manual or website. How should I store my hearing aid batteries? Store your batteries at room temperature. Avoid extreme temperatures, heat will shorten the life of the batteries and refrigeration is not recommended. Avoid carrying batteries in your purse or pocket because metal objects such as keys or coins can short out batteries. -	Do not leave batteries in the hearing instruments if you do not use them over a long period of time, they can potentially leak and ruin your hearing device. If a battery has been swallowed call Poison Control immediately at 1-800-222-1222. How do I properly insert the batteries into my device? 1. Locate the battery component on your hearing aid and open the door. 2. Place the battery into the hearing aid so the tab is facing outward. 3. Remove the tab and leave the battery door open for 60 seconds to let the battery air up. 4. Securely close the battery door. Quel type de piles devrais-je utiliser dans ma prothèse auditive? Il existe quatre formats de piles différents : 10, 13, 312 et 675. Les fabricants utilisent un code de couleur qui est le même dans toute l’industrie pour identifier le format des piles. Différents formats de piles sont utilisés pour alimenter différents types d’appareils. Vous pouvez trouver quel type de piles convient à votre appareil en consultant le manuel du fabricant de votre prothèse auditive. Pourquoi y a-t-il une languette sur la pile? Les piles zinc-air utilisent l’air comme ingrédient actif pour alimenter la pile. La languette sert à sceller la pile pour garantir qu’elle reste fraîche jusqu’à ce que vous l’utilisiez. Une fois la languette enlevée, l’air ambiant commence à réagir avec le zinc contenu dans la pile, et c’est cette réaction qui alimente la pile. Pour bien activer la pile, retirez la languette et attendez une minute pour permettre à l’air d’entrer dans la pile, puis insérez la pile dans votre appareil auditif. Remarque : le fait de replacer la languette lorsque la pile n’est pas utilisée ne prolongera pas la durée de vie de la pile. Une fois la languette retirée et la pile bien aérée, insérez-la dans l’appareil et refermez le compartiment. Celui-ci devrait se refermer sans difficulté. Si vous forcez, c’est que la pile est mal insérée. Vérifiez sa position avant de refermer le compartiment. Quels sont les différents formats de piles pour prothèse auditive? Les formats les plus répandus sont les formats 10, 13, 312 et 675. La plupart des fabricants utilisent un code de couleur qui est le même dans toute l’industrie pour identifier le format des piles. Différents formats de piles sont utilisés pour alimenter différents types d’appareils. En général, plus la pile est grosse plus elle est puissante. Vous pouvez trouver quel type de piles convient à votre appareil en consultant le manuel du fabricant de votre prothèse auditive. Combien de temps durent les piles pour prothèse auditive? La durée de vie des piles dépend du type d’appareil auditif et de son amplification, ainsi que du nombre d’heures que vous portez l’appareil. Comme cela varie d’une personne à l’autre, nous vous suggérons de consulter votre professionnel de l’ouïe qui sera en mesure de déterminer la durée probable de vos piles en fonction de votre mode de vie particulier. Pour obtenir de plus amples renseignements sur les piles spécifiques à votre appareil auditif, reportez-vous au manuel ou au site Web du fabricant de votre appareil. Où devrais-je conserver mes piles pour prothèse auditive? Conservez vos piles à température ambiante. Évitez les températures extrêmes; la chaleur diminue la durée de vie des piles et la réfrigération n’est pas recommandée. Évitez de transporter des piles dans votre sac à main ou dans une poche car les objets métalliques comme les clés ou les pièces de monnaie risquent de les court-circuiter. Ne laissez pas les piles dans l’aide auditive si vous n’utilisez pas cette dernière durant une longue période car elles peuvent couler et ruiner votre appareil. Il est important de jeter les piles pour prothèse auditive de manière adéquate. Assurez-vous que les piles sont bien insérées dans votre appareil. Ne laissez pas les piles à la vue où elles pourraient être confondues avec un médicament ou des comprimés. o	Ne mettez pas les piles près de la bouche. En cas d’ingestion d’une pile, téléphonez immédiatement au centre antipoisons au 1-800-222-1222. Quelle est la marche à suivre pour bien insérer les piles dans mon appareil? 1. Trouvez le compartiment à pile sur votre prothèse auditive et ouvrez-le. 2. Placez la pile dans la prothèse de manière que la languette soit sur le dessus. 3. Retirez la languette et laissez le compartiment ouvert pendant 60 secondes pour que la pile s’aère. What’s the difference between LED and incandescent bulbs? What are all those symbols on flashlight packaging? Part of my flashlight broke. Can I just send in that part and get it replaced? 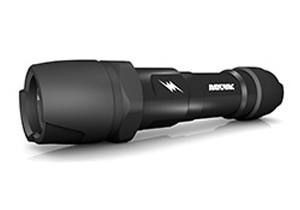 Unfortunately, we cannot replace just a part of your flashlight. If you’d like to participate in the warranty, the entire flashlight must be returned to us. I really like the flashlight that I have, but it stopped working. Can I get the exact model as a replacement? Product line improvements are always being made, so we cannot guarantee that we can replace your product with the exact same model. If we don’t have that exact model, we’ll match it as closely as we can with the current product. It stands for milliampere hour. It indicates the battery's capacity. The higher the mAh, the more charging of devices you can do before you need to recharge the battery. The number of times you can recharge the battery before it will no longer perform. What device will it charge? Any device that can be charged by a cord that has a Standard USB end, which will plug into the portable charger. How do I recharge the pack? For optimal performance, recharge before use. Using the included cable, plug the Micro-USB end into your RAYOVAC® Portable Charger. Connect the opposite end into a USB power source (wall, car, or computer). Charging should start automatically. Most RAYOVAC® Portable Charger Models also have LEDs that will illuminate when charging is complete. When does my power pack need recharging? Do I have to wait for it to be empty? The battery pack can be recharged at any time, no matter what the battery level is. The battery does not need to be empty prior to recharging. In what applications will the RAYOVAC® 9V Lithium battery last 10 years? 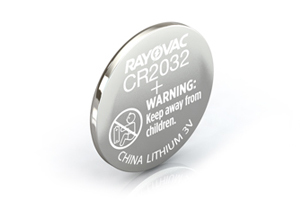 RAYOVAC®'s 9V Lithium battery will only last 10 years in ionization smoke alarms. However, RAYOVAC®'s 9V Lithium will extend the life of most high drain 9V lithium devices significantly more than a standard alkaline battery. The instruction manual with my smoke alarm specifies to replace only with an Ultralife lithium battery. Is the Rayovac 9V Lithium battery an acceptable replacement? If it is, how often should I replace it? The RAYOVAC® 9V Lithium will work properly in any other smoke alarm requiring the Ultralife lithium battery. Under normal use conditions, the battery should power ionization smoke alarms for up to 10 years. Please note that smoke alarms should be replaced every 10 years, as they lose sensitivity over time due to age and dust. Also note that many smoke alarms come with recommendations to replace the battery with a specific brand of 9V battery (oftentimes Alkaline or Zinc Carbon chemistries). The RAYOVAC® 9V Lithium is also an acceptable replacement battery in these devices and will power any ionization smoke alarm for up to 10 years. What are common 9V Battery Applications where I could use the 9V Lithium battery? Digital scales, Garage door openers, Photographic flash units and light meters, Remote controls for RC hobbies, & Television/VCR/DVD/Stereo remote controls. Memory backup (e.g. clock radios, telephones, etc. ), Smoke Alarms, Baby monitors, Emergency exit alarms, Carbon monoxide alarms, Flood alarms, Gas alarms, Home security devices, Electronic entry systems, Wireless security keypads,Door/window alarms, Glass break detectors, Motion sensors, Sound detectors, Passive infrared detectors, Pet containment systems, Panic buttons, Package tracking transmitters, Stun guns, & Personal defenders. Home healthcare equipment, ambulatory infusion pumps, Blood pressure monitors, Blood analyzers, Biofeedback systems, Bone growth simulators, Wireless patient monitors, Digital thermometers, External pacemakers/programmers, Galvanic stimulators, Muscle stimulators, Heart/Holter monitors, Pediatric scales, TENS units, Pulse oximeters, & Telemetry systems. Cargo container location beacons, Electronic toll collection systems, Military training targets, Laser tags, Remote infrared mice, Silo transducers, Vehicle/vessel tracking sensors, & Wireless remote controls. Bar code scanners, Data recorders, Electronic parking meters, Digital gauges and scales, Force gauges, Voltmeters, Cable route tracers, Capacitance meters, Lux meters, Multimeters, Signal tracers, Metal/stud detectors, Gas flow correctors, Industrial valve actuators, Radar Detectors, Anti-static strap testers, Wireless switches, Microfilm cassettes, Radiosonde weather balloons, Utilities load controllers, Point-of-purchase merchandisers, Profilometers, Video head testers, & Noise cancellation equipment. Will old 9V lithium batteries leak if left in the product instead of discarded? As a general rule, batteries, including lithium, should not be left in a product once the battery is discharged. The 9 V lithium batteries from RAYOVAC® are hermetically sealed and the chance of leakage is quite small. What is the recommended storage temperature range for the R9VL and UP9VL 9V lithium batteries? The specified storage temperature range for RAYOVAC® 9V Lithium batteries is -40° C to 60° C. However, all batteries do best when stored in a cool (not cold) dry location. What is an ionization smoke alarm? An Ionization smoke alarm uses an ionization chamber, which is an air-filled space between two electrodes, and permits a small, constant current between the electrodes. Any smoke that enters the chamber absorbs the alpha particles, which reduces the ionization and interrupts this current setting off the alarm. How do I know if I have an ionization smoke alarm? To determine whether you have an ionization-type or photoelectric-type smoke alarm, look at the label on the back of the alarm. If it's an ionization type there will be a statement on the label similar to the following: "This device contains 0.9 microcurie of americium." If such a statement is not on the label then you have a photoelectric alarm. What areas require a 10 year smoke alarm battery? In the US, Oregon state law (ORS 497.297) requires a 10 year smoke alarm battery. Michigan state law (MCL 125.1504c) requires a 5 year smoke alarm battery which can be satisfied by some alkaline batteries but they recommend a Lithium 9V battery. Louisiana state law (R.S. 40:1573 and 1581) requires a 10 year sealed lithium battery smoke detector in one or two family dwellings sold or leased after January 1st, 2011. Many other towns, cities, and municipalities also require 10 year smoke alarm batteries. Please contact your local authorizes to learn more. How long do smoke alarms last and what are the installation, maintenance, testing and replacement requirements? The National Fire Protection Association recommends installing smoke alarms on every level of your home, including the basement, making sure that there is an alarm outside every separate sleeping area. New homes are required to have a smoke alarm in every sleeping room and all smoke alarms must be interconnected. Regular cleaning of smoke alarms can prevent false alarms caused by the buildup of dust or other contamination such as flies. Photoelectric (optical) type alarms are more susceptible to contamination due to possible interference with the light source and sensor. A vacuum cleaner can be used to clean both ionization and photoelectric alarms externally and internally. Smoke alarms become less reliable with time, primarily due to aging of their electronic components, as well as from dust and contamination, making them susceptible to nuisance false alarms. Replace all smoke alarms, including alarms that use long-life 10 year non-replaceable batteries and hard-wired alarms, when they are 10 years old, or sooner if they do not respond properly when tested. What are the airline transportation guidelines I should be aware of with the 9V Lithium battery? Batteries pose little risk contained in the devices they power. Taking the battery out of the device does not enhance safety. To be safest, carry the device with you, not in your checked baggage. Do not remove the battery! 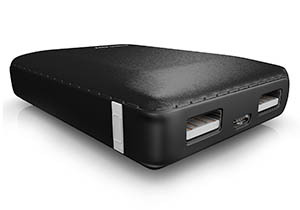 Carry your battery-powered devices or spare batteries in your carry-on baggage. In the passenger compartment, flight crews can better monitor safety conditions to prevent an incident, and can access fire extinguishers, if an incident does happen. Finally, if you must carry a battery-powered device in your checked baggage, package it to prevent inadvertent activation. Cordless power tools, for instance, should be packed in a protective case, with a trigger lock engaged. Pack spare batteries in carry-on baggage. In the passenger compartment, flight crews can better monitor safety conditions to prevent an incident, and can access fire extinguishers, if an incident does happen. For loose batteries, place tape across the battery's contacts to isolate terminals. Isolating terminals prevents short-circuiting. If original packaging is not available, effectively insulate battery terminals by isolating spare batteries from contact with other batteries and metal. Place each battery in its own protective case, plastic bag, or package. Do not permit a loose battery to come in contact with metal objects, such as coins, keys, or jewelry. Use only chargers designed for your type of batteries. If unsure about compatibility, contact the product manufacturer. Take steps to prevent crushing, puncturing, or putting a high degree of pressure on the battery, as this can cause an internal short-circuit, resulting in overheating. Does RAYOVAC®'s 9V battery provide a safety feature which will prevent a short circuit from resulting in thermal runaway within a cell, and/or venting? 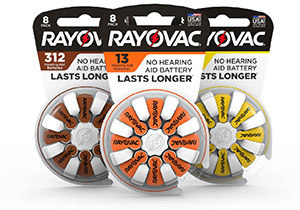 RAYOVAC®'s 9-volt battery is designed for safe operation under a wide range of usage and environmental conditions. A key design feature is the use of Safety Shutdown Separator. RAYOVAC®'s 9-volt battery is constructed using a safety shutdown separator, which upon either an internal or external short circuit, or current overload condition, will prevent thermal runaway within the cell. The cell electrodes, consisting of a lithium anode and manganese dioxide cathode, are separated by a safety shutdown separator, which is a microporous tri-layer membrane with a single layer of polyethylene membrane between two layers of polypropylene membrane. When a cell is overloaded or short circuited, the polyethylene membrane layer melts upon reaching a temperature of 134° C, significantly reducing ion flow (i.e., current). The reduction in current permits the cell to accept a short circuit or overload condition and shutdown without venting. The safety shutdown is a non-reversible process; once the cell has shutdown it is no longer usable. I need to purchase at least a dozen 1.5 and 3 volt batteries for a home security system. The system manufacturer suggests we purchase the replacement batteries from him, at about $8.50 ea., because of the long life afforded. I have decided to purchase the batteries at a local store. My question is, how much better, in terms of life expectancy, is the best battery offered compared to a lithium battery? Lithium batteries will last longer than any other battery types, including alkaline and zinc carbon (lowest cost) batteries, in most high drain devices. For example, RAYOVAC®'s 9-volt lithium battery will last for 10 years in an ionization-type smoke alarm (the most common type), compared to about 3 to 5 years for an alkaline battery and just 1 year for a zinc carbon battery. In a photoelectric smoke alarm the lithium battery will last anywhere from 3 to 7 years vs. about a year for alkaline. Depending on the specific device, the same approximate ratio holds true for other security devices such as door/window transmitters, infrared motion detectors and glass break detectors. It is generally a good idea to follow the manufacturer's battery recommendations. Can lithium batteries be used in a intrinsically safe circuit? Would a current limiting device be needed? Lithium batteries can be used in intrinsically safe circuits in some cases. A current limiting device may or may not be necessary depending on the device. The battery itself is usually not rated as being intrinsically safe but is tested as part of the entire device. One example where a RAYOVAC® 9-volt lithium battery is being used in an intrinsically safe device is a Personal Alert Safety System (PASS) carried by firefighters, sometimes called a "fireman down alarm." What can I expect for a self-discharge rate of your lithium-manganese dioxide batteries? Is the self-discharge mechanism in play when when the battery is in use? Lithium-manganese dioxide batteries do not exhibit an actual self-discharge mechanism due to the physical separation of the lithium anode and manganese-dioxide cathode. What does occur, however, is a very gradual degradation of the chemistry over time, which can be equated to self-discharge from a capacity loss perspective. In that regard, you can expect a capacity loss of approximately 1.5% per year for our batteries. This loss occurs both in storage and in use. mAh stands for milliampere hour and indicates the battery's capacity. The higher the mAh, the more charging of devices you can do before you need to recharge the battery. Cycle Life is the number of times you can recharge the battery before it will no longer perform. Are RAYOVAC® NiMH batteries available in all sizes? RAYOVAC® Recharge Batteries are available in AA & AAA sizes. 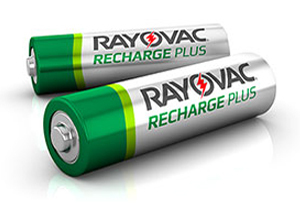 RAYOVAC® Recharge Plus Batteries are available in AA, AAA, C, D, & 9V sizes. All five sizes can be charged with the RAYOVAC® Universal Charger. RAYOVAC® Value Charger and Smart Charger will charge both AA and AAA rechargeable cells. Why shouldn’t you mix old batteries with new ones? The performance of a battery-operated product is limited by the weakest of all the batteries in the device. One old or weak battery can cause poor product performance, even if all the others are new or fully charged. Can RAYOVAC® Rechargeable batteries be used in any device that takes alkaline batteries? Yes, you can use the comparable NiMH battery size in any device that uses alkaline batteries. For example, if you typically use AA alkaline batteries, you can also use AA NiMH. How many times can RAYOVAC® Rechargeable NiMH batteries be recharged? They can be recharged hundreds of times! That's why using RAYOVAC® Rechargeable batteries may result in significant cost savings over alkaline batteries. Do RAYOVAC® Recharge and Recharge Plus need to be charged right out of the package before using? No. New Recharge and Recharge Plus batteries are charged and ready to use, right out of the package! My batteries get warm during charging. Is this okay? Yes. The batteries will get warm during charging but will cool quickly after recharging. This is a normal occurrence and no cause for concern. Do RAYOVAC® Rechargeable batteries need to be charged in a special charger? No, RAYOVAC® Rechargeable batteries will charge in any charger that can charge NiMH batteries, even a charger that you already own. Do RAYOVAC® Rechargeable Batteries need to be charged in a RAYOVAC® brand charger? No, all RAYOVAC® Rechargeable Batteries can be charged in any charger. However, we recommend using RAYOVAC® chargers. Do RAYOVAC® batteries have to be fully drained before recharging because they have "memory"? No. There are absolutely no memory problems with RAYOVAC® Rechargeable batteries. They can be recharged after a few hours of use or when convenient, with no effect on performance or battery life.